An adaptation of an iconic Southern California freeway sign graces the cover of the premiere issue of Miller-McCune magazine. We used the image for our cover story regarding a European trade model that could help solve the U.S. immigration problem. 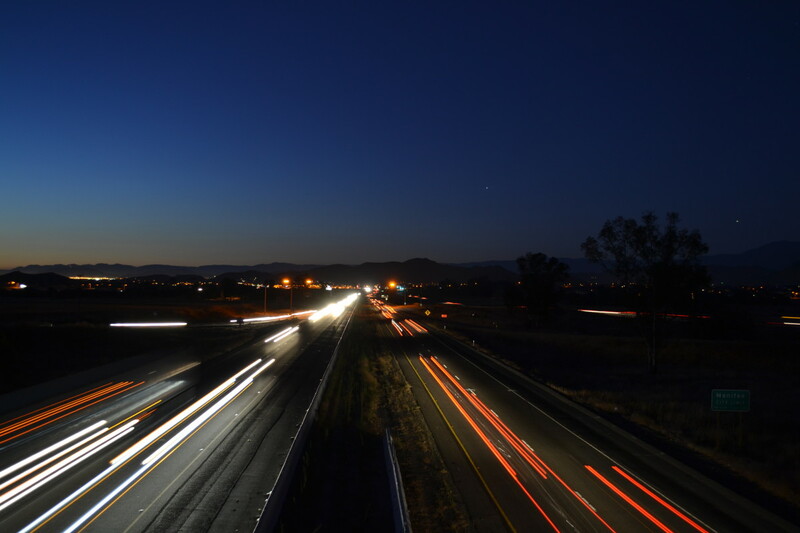 Cars on the freeway in Menifee, California. An article in today&apos;s Los Angeles Times focuses on John Hood, the California Department of Transportation graphic artist who designed the immigrant "Caution" image. serve as a warning that drivers could encounter people racing across Interstate 5 in San Diego County, it has "become one of the most iconic and enduring images associated with the nation&apos;s war over illegal immigration." How Europe's trade model could solve America's immigration problem.